The company fleet is split between 26 dumps and 26 tractors that haul dump trailers. Kenworth T880 dumps are spec’d with PACCAR MX-13 engines rated at 455-hp, while the T880 tractors are rated at 500-hp, all with Eaton UltraShift transmissions. 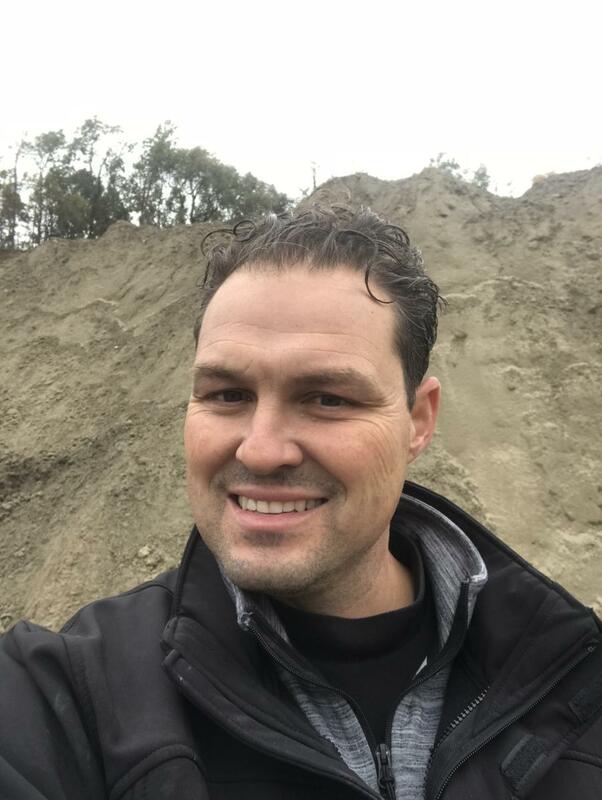 Roderick "Roddy" J. Valente founded R. J. Valente Gravel Inc. in 1989 with one dump truck, a bulldozer and dispatch located in his kitchen. Today, R. J. Valente is one of New York state's largest material handlers. Serving the Albany, N.Y., region, the company is a family affair operated by Roddy, along with his daughter Daniella, son, Stephen A., and nephews, Anthony and Stephen J. With 52 trucks, the company is able to offer timely service and quality rock products from several of its pit and quarry facilities located in and around the Capital District. For many years, Valente ran another truck make. That all changed about four years ago when the company switched to Kenworth. "We didn't have a Kenworth dealer in our area until Kenworth Northeast Group moved to Albany," said Anthony Valente, who is in charge of sales and fleet management. "We dipped our toe in the water with Kenworth Northeast — Albany, got a good feeling, and bought a round of Kenworths. That was it. Our drivers absolutely love the T880s. Not only do the trucks look sharp going down the road, everything in it feels well built. It's a heavily spec'd truck and we're very happy with the T880s." That first round of Kenworths included 10 T880s — five dumps and five tractors — all with PACCAR MX-13 engines. After working the trucks and seeing how they lived up to the Kenworth reputation and "after the sale" customer service, the company was sold on Kenworth. 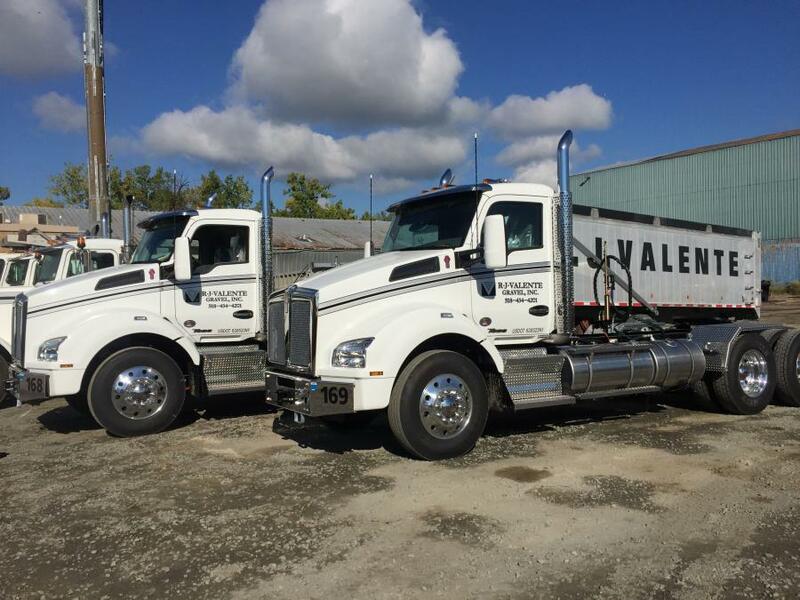 Since then, R.J. Valente has purchased a total of 38 new Kenworths based on driver appreciation, low cost of ownership, reduced downtime and superior service from Kenworth Northeast. "We've had great experience with PACCAR MX-13 engines," said Valente. "At first, we purchased the extended warranty with them, but over the past two orders we stopped buying the extended warranty because we haven't had any problems. We plan to buy 10 more Kenworths this year or early next year, so that will pretty much turn the fleet over to all Kenworths." The company fleet is split between 26 dumps and 26 tractors that haul dump trailers. Kenworth T880 dumps are spec'd with PACCAR MX-13 engines rated at 455-hp, while the T880 tractors are rated at 500-hp, all with Eaton UltraShift transmissions. As good as the Kenworth T880s are, said Valente, the service department is second to none. "I'll be honest with you, the Kenworth trucks have been very good, but the service department is even better. I can't say enough about them. New trucks are going to have an issue here and there. When I take a truck over to my Kenworth dealer, they troubleshoot it right away and get it back to us. It's horrible when you take your truck to another dealer and it sits there for two days just to find out that a cooling sensor failed and it could've been fixed in 20 minutes. That kind of scenario doesn't happen with Kenworth Northeast." Valente said his maintenance costs have dropped by half since the company started running Kenworths. "Going forward, we'd like to trade out for 10 new Kenworth trucks every year," he said. "We used to be a run-em-till-they-drop kind of company. When we started purchasing Kenworths, we decided we'd run them for four or five years, trade them in, and keep recycling them because Kenworths hold good value."